Everything started after Ubuntu 7.04 release. I spent more and more time in Ubuntu and had to reboot to Windows only when wanted to be on the air. Lazarus got better and better, after long time, I've decided to leave Windows version of CQRLOG (in Czech language only) and develop new version for Linux. This Linux version had a few thousand lines of source code from Windows version. Martin, OK1RR tested, commented and worked on country tables. He did really amazing job and I believe his country tables are best ever. The first version of CQRLOG was released on 2007-09-10 after almost a year of development. In 2007 it was the world's best Linux logging program and I think, it's still the best. Indeed cqrlog is the best logging software, with great features. 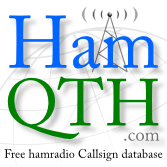 Rigctrl, rotctrl, dx, qrz and more. Thank you for this wonderful software and wish you many more years of developing.